Apps today have become a necessity for any new features for your apps business, traditional and new alike. Mobile App Development software allows you to reach out to the consumers in a manner which was previously not possible. The internet may have allowed tapping business potential globally but the advent of the smartphones and subsequently the mobile app development software have brought about a two-fold increase in the business as well as in the number of consumers globally. In today’s time, you cannot restrict the potential of your business idea by limiting yourself to the traditional world of the web. You have to be ready to implement changes and bring about a whole set of new ideas to keep on expanding your business empire. Thus, a website is no more enough to market your product. An app is necessary to communicate to the whole new world of consumers who are extremely tech-savvy and quite ahead of their times in terms of their demands and expectations in terms of services. Keeping yourself abreast of the new technology makes you more innovative and more relatable to the whole new generation of consumers whom you can reach out to increase your sales. Could you please get some Chinese takeaway? I am hungry. I am too tired I will call them to deliver. Oops, I cannot reach them through the phone! Don’t worry. I will order online. I have downloaded their app, it’s easy and hassle-free, with the food reaching our place in flat 30 minutes. Demands are being met with a click of the button; the delivery service is faster than the in-house restaurant we go to dine. All thanks to the mobile app development training, business sensibility of the owner who decided to make an extra effort in reaching out to his consumers via an app. Are you ready to build an app? If yes, do not worry about the logistics of making the mobile app development software. technology is nothing to be afraid of and you do not need to fret about hiring the best engineer to create one. App making is simplified by the numerous mobile app development software available, a simple basic app does not take too much of time and the numerous app makers available allow you to create a professional app without going in-depth about the app programming language. A simple mobile app development software should, however, have some key features such as social media integration, location-based services and some that would be essential for your business to prosper. Just read on about the 10 excellent mobile app development software tool and create one of your own to enjoy a fruitful mobile app development software for business. It is one of the simplest app makers available, for you do not need to be a novice in mobile app development training and coding to use this app. This is the first tools for mobile app development software because you can find this app easily. BuildFire can actually be termed as an app maker for beginners as you do not require any tech skills to create an app for this mobile app development for Android. You need to register yourself by creating an account and voila you are ready. BuildFire is built on the convenience of users and offers a starting plan of 39$, which is the cheapest among all. The app making process is simplified by classifying it into two main functions: appearance and widgets. BuildFire allows you to preview your mobile app development software on your device allowing you to test and evolve your app at each and every step. App Factory is the second tools for mobile app development software. Time is perhaps the greatest factor in judging our abilities in an area of work. And so it is the same for mobile app development training. App Factory saves your time while building an app as it is extremely simple in its process of making an app. The mobile app development software allows you to create masterpieces without having to write a single line of coding. In terms of content, the app facilitates things by allowing you to feed the URL of your company’s website and it easily takes the content from the web and pastes it into your app. A few simple tasks of choosing the background color and uploading your logo need to be done, and your app is ready within a matter of few minutes. This is the third tools for mobile app development software as it is very easy to use. It is one platform that needs no introduction. It is a complete do it yourself mobile app development learning is helpful to the beginners as well as the novice. AppMakr allows creating iOS, Android and HTML5 Web apps without any background on coding. So, you need not be a techie to join the app game. AppMakr services are available at no cost and businesses can create as many apps as they want with no hidden cost involved. The best part that makes AppMakr the first choice of a mobile app development software tool for many start-ups is that it does not demand any credit citation at any point. Thus, you are solely the brand owner of your app. The features that AppMakr allows you to enjoy our photo galleries, custom-made design and live updates and many more. MobiCart is the fourth tools for mobile app development software as it grabs consumer attention. It’s the age of e-commerce and brands are retailing their items to boost sales. There is an immense opportunity available in this arena for all and apps are thriving to grab the consumer’s attention. An e-commerce app can be easily created by MobiCart and result in a tremendous jump in sales. MobiCart allows creating a retail shop on mobile by fusing the app with the online store. A wide range of integration is allowed in terms of third-party payment options so that the customers can enjoy a swift, hassle-free experience of shopping via your app. One of the best features that MobiCart can boast about is perhaps the ability to import social media feeds. Young entrepreneurs have taken the market by storm and therefore they require an app maker that gives them the value of their money invested. GoodBarber is affordable and yet it gives you all the essential features that would be required to create a great app for customer satisfaction. It is easy to use and gives easy access to the source code of your app so that you can customize your app according to your business need. The GoodBarber mobile app development training features are available from 16$ a month to 50$ and it does not charge you for submitting your creation to the app stores. Who could have thought that a simple game like Candy Crush would turn into a business of millions? Well at the end of the day what matters is that your idea clicked and you earned the most out of it. Thus if you are a gaming enthusiast and your heart’s desire is to create a game that would turn the gaming fever on everybody, GameSalad is the mobile app development for Android for you to test the grounds. GameSalad operates on simple terms and you do not require any understanding of the complicated coding language to build a game. GameSalad makes your game making task easy and allows you to create a game in a matter of few hours. The app maker boasts of an App Previewer which allows users to test their games on mobile and desktop devices to enjoy the feel of the live environment of the game before its final launch. Winner of the Reviews Gold Award, Como is perfectly suited to create an app for any business under the sun. However, the only catch lies in its diktat on building a non-profit or restaurant app. A great feature that Como gives is; once you have finished building your app, the Como representatives send your app to the App Store and Google Play-a bonus that everyone would love to reap. Como’s unlimited app downloading system enables you to reach out to your business to a vast range of consumers. 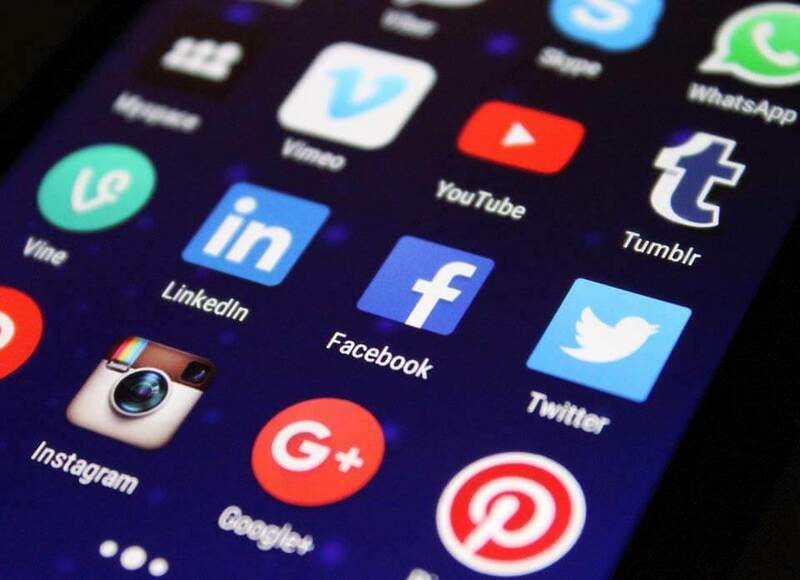 Since social media is a great way to expand your business territories, Como helps you to easily integrate the app with the popular social networking websites. Perhaps the only drawback that this mobile app development training suffers from is that it does not support the creation of apps on Windows. Though one can always argue that Windows smartphone users nearly comprise 3% of the total consumers, it still remains an ouch factor for the mobile app development for Android. AppMachine is the eight tool which has been used for mobile app development software. Technology is sometimes so stifling for people to use that everyone demands the simplest of steps in terms of creating an outstanding product. AppMachine does that so efficiently that it definitely reserves a favorable place in our hearts. Simply click and drag the web design and you have an app ready for your business in a jiffy. The best ability that AppMachine can boast of is its ability to change the design of your app into smallest pixels so that you can have the best say in the creation of the minutest details of your app. Feeding your web URL to copy the content, to linking your RSS feeds to integrate with the social networking websites, AppMachine allows you to use your brand to the best of its ability. This mobile app development for Android supports all the smartphone platforms thus saving your precious time from creating apps for different platforms. The only con that we came across was that its highest plan is the only option that supports the building of an app for tablets. The ease of usage plays a great factor in deciding the mobile app development for Android and Appy Pie tops our list in being extremely user-friendly for a beginner. Its main highlight is the Preview option where the mobile app development training scores big time over its competitors. It gives a great idea about the app markets and helps to monitor changes in the live environment of the phones and tablets. Appy Pie loses to its counterparts on the premise of unavailability of any first party e-mail marketing ideas. In terms of submitting the app to the market, Appy Pie does not allow you to submit the app by yourself. An e-mail is to be sent to an Appy Pie representative who will act as an admin on the account and take the submission forward after that. Considering the top ten list, you might disagree with the addition of this app into a list. Nonetheless, I will justify my stance for adding this to the list as this is the last tools for mobile app development software. While the above listed mobile app development for Android boasts about the user-friendly methods and proudly claim that no coding is required to create an app, Appery.io on the other hand breaks free from the rest on this account. The mobile app development learning unabashedly proclaims that there is a level of difficulty to be encountered while using this mobile app development software but the other way it gives its users a great power to control the complete customization of their app. Appery.io is cloud-based and your project, therefore, enjoys a private web address, which comes in handy if two or three people sit together for a jamming session while compiling the app on live time. The mobile app development training is compatible with the entire smartphones platform available mainly App Store, Google Play, and the Windows Store. Are you convinced about creating an app for your mobile app development software business? If not, what are you thinking? Get set go…because an opportunity to expand your empire globally and build a consumer loyalty for your product does not come at such a cheap rate and convenience. This has been a guide to mobile app development software here we have discussed different types of tools like BuildFire, App Factory, AppMakr, MobiCart, GoodBarber, GameSalad etc which are used for making a mobile app development software so don’t hesitate, just do the new and enjoy reaping profits with the help of the advancing technology!